Address: 10339 S. Old Oregon Inlet Rd. "Sweet Peace" is a high end luxury Oceanfront home w/hardwood floors, quartz counters, tiled floors & baths, stainless steel appliances, cathedral ceilings, screen porch w/gas grill & ventilation hood. Double sub-zero refrigerators, beautiful landscaping, huge Private Swimming Pool, Hot Tub, wood outdoor fireplace, 5,000 sq. ft. of decking, fabulous Ocean Views & more. Beautifully furnished this impeccable home is equipped to the highest standard w/ many upgraded features to ensure a great time on the Outer Banks. The high speed wireless internet connection throughout the entire home allows guests to simultaneously stream video, music, & other data intensive tasks. The home has in-wall touch-screen controlled speakers located throughout so you can play music from Sirius Satellite Radio & supports playback from compatible Apple Airplay devices. There are Large HDTVs positioned in each major sitting area which are equipped w/ Premium Audio equipment & an easy access HDMI port for guest to plug-in their own devices. There is an in-home Theater Room features 10 large premium leather chairs located on the first level. The focal point of the room is an 85 Inch Ultra HD 5K TV w/ in-wall 7.2 Surround Sound Audio System. An easy-access HDMI port is provided for guests to plug in their OWN devices, such as Apple TV or Chromecast. The theater system provides access to Hulu and Netflix. On this floor you will also find a game room/den combination w/ Foosball & comfortable sitting area w/ large flat screen TV, Sub Zero refrigerator, dishwasher, wet bar, water dispenser, microwave, & ice-maker. Every aspect of this home is captivating & sure to amaze. All of the bedrooms have direct access to a covered deck & each bath features tiled floors & showers. There are two screened porches & covered decks on three sides of each level of the house. The top level screened porch is sure to be a focal point & favorite gathering spot for nightly cookouts w/ the large gas grill w/ range exhaust hood & large table & plenty of deck furniture. The main living/dining/kitchen area is located on the top level & features a gourmet kitchen that is out of this world. The Sub Zero refrigerator, gas range & quartz counters combine w/ lovely furnishings to make this one of the most desirable homes on the beach. There is a large flat screen TV, gas fireplace, beverage cooler & separate ice-maker. The Ocean Views are fantastic & the covered deck is the perfect spot to relax your cares away. There is an Elevator serving all floors & the driveway is ramped to allow easy access for those w/ special needs. 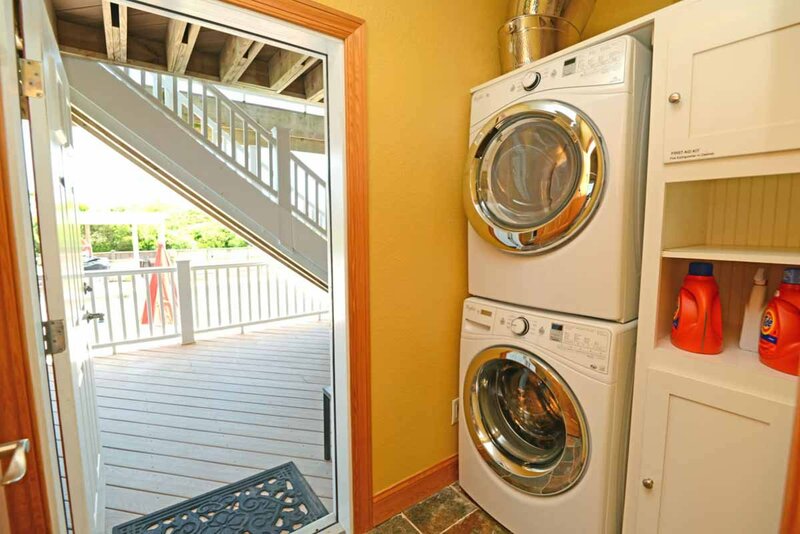 The first level has a full bath w/ roll-in shower & is accessible from the game room & the first level covered deck. Wider doors (36") on this level allow for wheelchair access to both the bath & bedroom w/King as well as the adjacent full bath (2" lip to enter & the shower has a 6" lip). The ramp from the first level deck to the dune top deck is also wheelchair accessible. Please keep in mind that wheelchair access throughout is limited to certain areas & the home does not meet ADA standards. Ground Level: Parking (Limited to 6 Cars-Please Do Not Exceed), Ramped Driveway, Large Private Swimming Pool w/Built-In Kiddie Pool & Hot Tub , Landscaped Yard, & Outdoor Wood-Burning Fireplace. Level One: Covered Entry, Elevator, Game Room/Den Combo w/Foosball, Flat Screen TV, Refrigerator, Ice Maker, Dishwasher, Water Dispenser, Home Theater Room, Master Suite w/King & Full Bath w/Shower w/Grab Bars, Laundry Area, Exercise Room, Full Bath w/Roll-In Shower (Access to Game Room & Covered Deck), Wrap-Around Covered Deck, Enclosed Outside Shower, & Walkway to Dune Deck & Gazebo (Wheelchair Accessible). Level Two: Large Foyer Entry, 5 Bedrooms (2 Master Suites w/Kings, TVs & Full Baths, 1 Master Suite w/Duo Bunk, Daybed w/Trundle, & Full Bath; 1 w/King & TV, & 1 w/Double w/Trundle), Full Shared Bath, Laundry Area, Wrap Around Covered Deck w/Hot Tub, & Screen Porch. Top Level: Luxurious Living/Dining/Kitchen Area, Ocean Views, Flat Screen TV, Gas Fireplace, Stainless Steel Appliances, Gas Range, Quartz Counters, Beverage Cooler, Ice Maker, Full Hall Bath (Shower only) , 2 Bedrooms (1 w/King & TV & 1 w/Queen), Shared Full Bath, Wrap-Around Covered Deck, & Large Screen Porch w/Gas Grill & Exhaust Hood. Features include: C/AC & Heat, 2 Washer/Dryer Sets, 2 Dishwashers, 2 Microwaves, Phones, TVs, Stereos, Wireless Internet, Books, Games, Puzzles, Beach Chairs, & Ocean & Sound Views. No Pets. This is a Non-Smoking Unit. 03-29-2018 - FOR 2019 - Hot Tub by Pool will only be available when Pool is open. We noticed a few upgrades to the property...very nice! We didn't think it was possible that this could be any better. :) One suggestion: instead of the foosball table, a future option might be a pool table. Beautiful home can't wait for next summer! Sweet Peace was amazing. The cleanliness of the property when we arrived exceeded our expectations. The homeowners have thought of everything. There is not a detail they have missed. We have been coming to the OBX for 13 years and our family undeniably said that this was the best home we have ever stayed in. Our vacation was one for the books! We have been vacationing as a family for over 40 years and the general consensus was that this was one of the best equipped and thoughtfully planned homes we have rented anywhere. The home is extremely well appointed - the kitchen is wonderful and very well stocked as is the rest of the house. We have stayed here two years in a row and have had a fantastic vacation both times! Kitchen had everything you need to cook and then some. Owner choices for appliances, cookware, dishes, etc. are top grade. A very beautiful, well equipped home. We loved the pool area, lawn (great for playing games! ), screened eating area and all the amenities. Hoping to stay there again in 2020!! We loved the pool, hot tubs, theater room, outdoor areas and screened porches. The kitchen is wonderful. The house was beautiful and nicely equipped with everything we needed. This is a very beautiful home The owners thought about every need that you may have. Our families have been coming to the Outer Banks area for over 15 years. Sweet Peace is by far the best home that we have ever stayed at. The pictures do not tell the whole story, there is so much more to this home that is not seen. It is evident that the property owners care a great deal and are willing to spend more to make this home a spectacular stay. Thank you, thank you! Sweet Peace is an incredible home with everything very well thought-out. 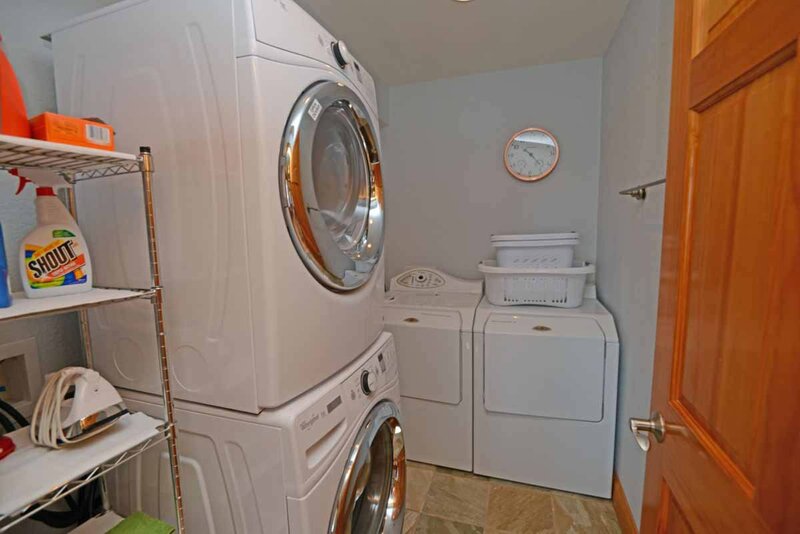 There is really no reason to venture out when you have the amenities that this home provides. This is truly a 5-star vacation rental! It's the perfect vacation home. My whole family was extremely comfortable and had a wonderful time staying at Sweet Peace! One of the nicest homes we have ever been in. This was our family's 21st visit to Outer Banks and this house, was by far, the best. We felt like royalty. Sweet Peace is the nicest house in Nags Head, this was our 10th year staying at Sweet Peace.